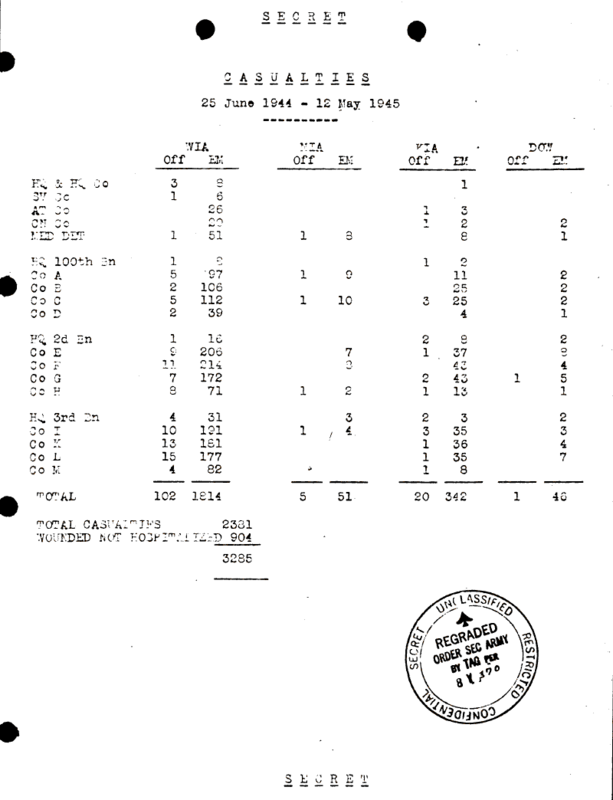 Document Notes: This undated extract from 442nd RCT casualty report gives data for the entire period the RCT was in combat. The figures do not include the casualties of the 100th Bn. which entered service in 1943 and saw action first at Salerno, Italy and later joined the 442nd as its 1st Bn.